Hov Pod have hovercraft available for short term commercial rental contracts, and can provide hovercraft training or drivers to assist as required, subject to availability, so ask us for details. Everyone loves to ride a hovercraft, people of all ages get a kick from riding on a cushion of air, as if gliding on a modern magic carpet. As much as we would like to spend our own time providing leisure hovercraft rides, we don’t want to compete with our customers, so focus on design, product development and manufacturing. But we do supply many hovercraft to entrepreneurs who see the great potential. Apart from commercial rentals, there are perhaps four types of leisure activity a hovercraft rental operator can offer. 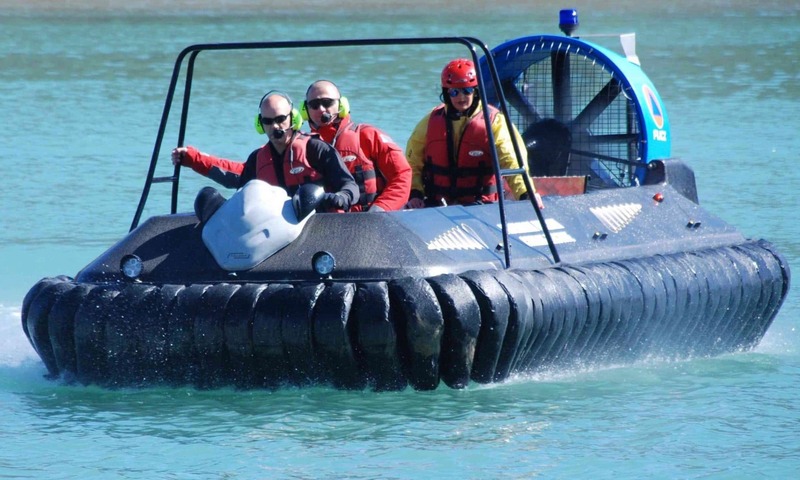 If you can secure a location with water and land, and create a track, or can get permission to use a beach at locations where local authorities wish to promote tourism, the 5-minute ride can be the most lucrative type of ride assuming you have a number of people who wish to experience a hovercraft ride. You should try to ensure that passengers get to experience the water to land to water transition, a 180 turn, a 360 spin. Encourage passengers to take a selfie and post it on their FaceBook, Instagram, Twitter accounts to generate publicity. This makes a great birthday present, you offer to train people how to operate the Hov Pod, and set them a course to negotiate around. We offer rental customers our certificated training course, to ensure they are fully confident to teach others. From a business perspective – by pre-selling vouchers before an event, you generate positive cashflow, and can arrange for perhaps 6 students to share a Hov Pod and instructor. How much could you charge? Check out other learn to fly experiences to get a feel for the profit potential, or request our rental calculator. 10 years ago is was fashionable to get completly wasted through alcohol abuse shortly before a wedding, but now friends are becoming a little more responsible, preferring to enjoy a unique experience – what better experience than to learn to fly hovercraft. Arrange a track time event to record the fastest round the circuit. Encourage photography and videos, and get them posted on social media for free advertising. Companies like to reward their hard-working employees, by arranging unique experiences – what better fun than to learn to fly hovercraft!